Parents (and Athletes) – please plan on attending the 2015 parent meeting Tuesday, August 25th at 6pm in the AW Gymnasium. You will hear about player expectations, fundraising, and there will be a chance to purchase some volleyball gear to prepare for the season! See you there! 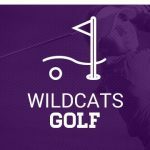 Thursday, August 27, 2015 6:30 PM Arvada West High School AWAY 1 Broomfield HOME 3 Game Recap The Lady Wildcats’ opening night match was filled with excitement and suspense as play unfolded. 2 of the 3 sets lost were by a total of 5 points; needless to say it was a close and competitive match.